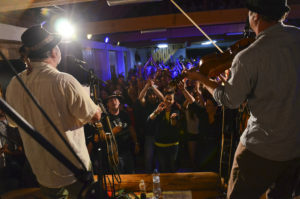 Great success for the Slovak world music scene! Great success for the Slovak world music scene! 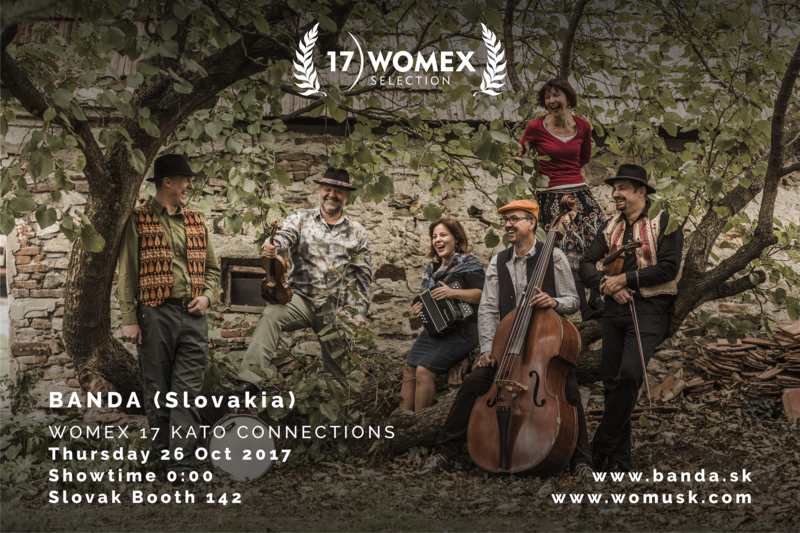 Banda will take a part at the international showcase festival WOMEX 2017 in October, 26th! Newly released mysteries series “1890” of the JOJ TV used the Banda´s song Nadeja as its soundtrack. The song cauht a fancy of the authors of the serial as far as they asked Samo Smetana to rewrite the original lyrics. The song has an interesting history: it was originaly recorded in 2011 for the first Banda´s CD Banda jedna. Yet, due to lack of space it finally made it to the second CD called HraBanda only. 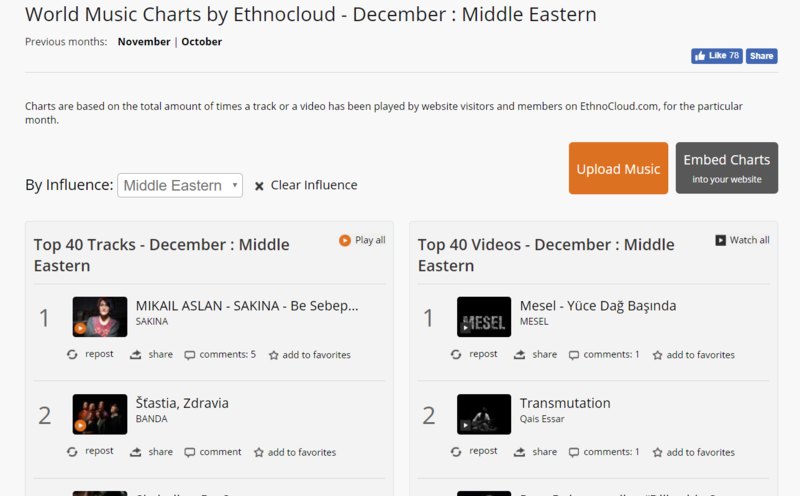 Nadeja, actually the most succesful Banda´s song at the “World Music Charts by Ethnocloud”, was originally sung by the traditional women choir Trnki from Banská Bystrica. 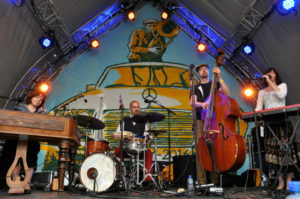 For the purposes of the series it was recorded with the famous Slovak singer Juraj Benetin from the Korben Dallas band. Traditionally, we were hosted by the NAY Dance House of the Pohoda 2016 festival. On Friday, July 8, 2016 within which we provided music for the dance instruction of the Horehronie region traditional dances. Our performance was colorful – after some time our friends from the dance groups Partia, Credance danced with us and those from the traditional vocal group Trnki from Banská Bystrica sang with us. Cool. 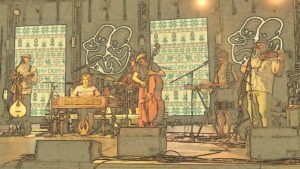 The night concert at Východná (Traditional Folklor Festival) from 2nd to 3rd July 2016 was the end of our weekend tour full of traveling and playing. The audience sang with us practically the whole concert – we have never received such a flood of energy before and we have never needed it so much as that night. Dear audience, many thanks! Don’t miss the first Slovak Woodstock type festival Drienok. We did not miss it and right on the first school vacations day (July 1, 2016) we hurried to Mošovce. Colorful girls, barefoot kids, exotic foods, dreads, blankets, pillows, swimming pools, joy. Playing (and drinking) was superb. 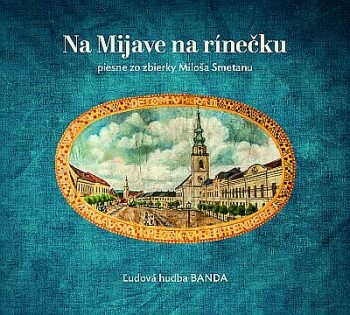 The source of inspiration for releasing of this CD was a collection of song from Myjava and its surrounding published in 70th by Samo´s father Miloš Smetana. Myjava is a little town in western part of Slovakia, place of family roots of our band leader Samo Smetana. Together with the CD also reedition of the old colletion was issued. You can see some photos from the celebration of this here.